These activities are only possible with the continued support of parents and community members. The P&C asks for an annual contribution from each family to enable the association to continue its outstanding work. We currently have 13 energetic sub-committees. If you would like an item included on the agenda, please contact secretary@lpspandc.org.au. The P&C asks that all Lindfield parents/guardians make a voluntary contribution to P&C funds to assist in funding important and vital resources for the learning environment of all our children. The P&C fees for this year are $350 per family of which $100 is a tax deductible gift to the Building Fund. However, you are welcome to nominate the amount you contribute. 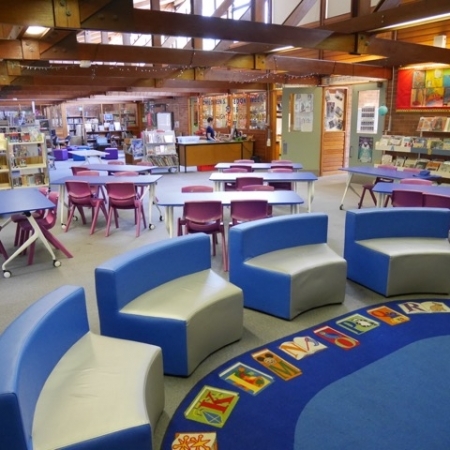 In the past 5 years, the P&C has funded over $1,000,000 of improvements to Lindfield Public School thanks to more than 9 years’ worth of fundraising efforts. The P&C President has the fundamental role of providing leadership to the parent community which includes having an awareness of parental concerns and expectations and being an active participant in the school’s planning and priority setting. Responsible for formulating the annual objectives for the P&C and delegating duties in order to achieve this plan. Chairs Executive, Convenor & P&C meetings, represents P&C in regular meetings with the School Principal. May also represent the P&C by attending Regional P&C Association meetings. The role of the vice president is to support the president and other committee members as well as to the school. It is a role that is ideally shared between two people. Responsibilities are generally split by sub-committees, with each vice president overseeing approx 6 subcommittees. Support the president, other committee members and the class coordinators. This includes taking an active role in assisting with any events being organised by one of the sub-committees, and escalating and resolving any issues encountered at the sub-committee level; Be prepared to take on independent projects as required from time-to-time. Attend the P&C & Executive & Convenor meetings and assist with issues arising; Be prepared to take minutes in the absence of the secretary. You maybe called upon to relieve the P&C president in their absence. You will also need to recruit someone to take over your position when you leave. These are both key roles on the P&C executive team. The P&C raises, manages and invests into the school (and employees) a substantial amount of money each year. The Treasury team manage the planning and tracking of the financial results of the P&C, ensuring the P&C is complying with Australian Accounting standards. An accounting background is ideal for these roles. Maintains financial records using MYOB software provided by the P&C. Prepares monthly reports. Responsible for payment of salary & other employer costs. Oversees payment of P&C accounts and invoices (joint signatory, along with President); Checks bank reconciliations at month-end & throughout the year. Presents reports at executive and P&C meetings. Prepares books and accounts for audit as required; maintains P&C insurances. Provides high level analytical review of financial results; Reviews the annual sub-committee reports for consistency (ie;Canteen, Clothing, Social committee, Strings, Band, Sport, ALL, Leaf, IT, Chess, Visual Arts etc). These roles are typically held by past executive members who advise the incumbent executive on the history surrounding current projects. The Secretary and Assistant Secretary are the principal administrative officers of the Association. They contribute significantly to the smooth running of the P&C, and to maintaining transparent communications within the school community (through accurate minutes etc). Takes minutes and types, distributes and displays minutes. Keeps a continual record of the business of the P&C by maintaining the Minutes book. Writes letters as needed. Collects, reviews and distributes incoming mail. Attends executive and P&C meetings; must be willing to receive queries from school community and direct appropriately. May also produce flyers as required for social/fundraising events.